Hello Coaches and Parents. Please read the information below very carefully and thoroughly. Most all of your questions should be answered as well as information on how to get your team into this tournament. 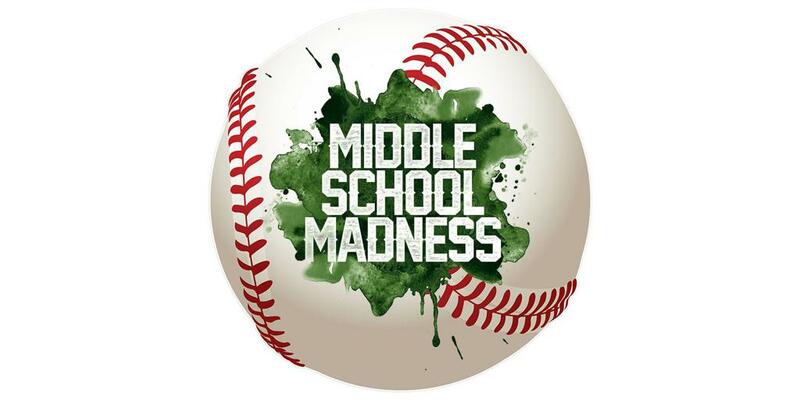 We are pleased to announce the return of the Middle School Madness Tournament hosted by Mansfield Youth Baseball Association. This is a great opportunity for athletes to compete as a school with their school mates, much like they will in High School. This experience is very unique, very exciting and often has select team players facing off against each other for the first time. This tournament is NOT sanctioned, so no one needs to worry about as far as roster freezes. A coach/parent must organize a team of players at your school. We have a “Who’s Coming List” linked below. This list contains the school teams that are currently registered, and also will indicate whether the coach is still needing players. If the coach indicates they need players, contact them directly please. If there is not a team listed for your school, no one has yet stepped forward to let us know they are coaching a team from your school. What if my player is home schooled or attends a charter or private school? First, if the school has a team registered to play, they must play with their school. If their school is not putting a team in, they are eligible to play with the public school they are zoned for. The coach will have to provide proof of residency as well as the school zoning chart at check in. What age groups can play? We will have 5th, 6th, 7th and 8th grade divisions. Any player that is in 4th – 7th can play up a grade level if necessary, but no player can play down a grade. We will first fill up Big League Dreams. If enrollment exceeds the capacity there, we will also add on The Mansfield Sports Complex. If we fill both of those parks, we may add a third park that is within 8 miles of BLD. Teams need to be prepared to play at any one of the three parks. What do we do for jerseys? All that is required by us is that the players be in similar color, with a number on the back. Most teams have been having inexpensive tshirts or jersys made up but we do not require that. If you need contact to a very reasonable supplier, contact Chris at secretary@myba.com. How do we make payment and register? To get in the Who's Coming List (register), the coach or team rep needs to send an email to admin@myba.com and give the following info: Coach Full Name, Coach Cell Number, Coach Email Address, School Name, Grade, Team Name (if different than School Name), and indicate whether or not you are still looking for players for your school team. The cost is $200 per team. We are not trying to make anything on this tournament, just merely cover the costs. Payment will be made by team and MUST be made no later than Sunday Nov. 4th at midnight. If we do not have that by then we will not be able to put your team on the schedule. Send check made out to MYBA to 1848 Lone Star Rd #104, Mansfield Tx 76063 (must arrive by Sunday Nov. 4th. Deliver cash or check to the address above M-F from 9:00AM-1:00PM. Email admin@myba.com to verify someone will be there. The Head Coach or other designated team rep must come to the Mansfield Sports Complex on Friday November 9th between 7:000PM and 8:00PM to check in. A printed copy of the MSM Roster (see below) with signature. Eligibility paperwork for each player. The preferred document is the player’s most recent report card. If the player does not attend the school they are playing for (see above) then we must have a birth certificate, proof of residency (utility bill, etc) as well as the school zoning map. We will do everything we can to make sure all players are legal per the eligibility requirements above. If you cannot provide that, the player cannot play. MYBA Team Waiver – There is a MYBA team waiver listed below that must be completed and signed by atleast one parent/guardian of each player. There will likely be more information added to this page so check back often. if you have a question that was not addressed above, please email BOTH Kevin Lewis at kevindlew@gmail.com as well as Jay Johnson (Director) at jay@thunderduck.net. The Who's Coming List is below. If the coach has indicated to us that they are looking for players, then their email address is provided. If you player attends that school, contact the coach directly.